I'm glad you found us! 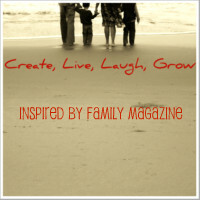 We have move our post over to our new website Inspired by Familia. Feel free to hop on over and get this amazing and easy recipe Easy & Creamy Chicken Pot Pie. I came across your blog on Tip Junkie and I love your post! This pot pie looks so creamy and delicious...perfect for this season! Thanks ladies, I will try to remember to stop by your sites. Yumm! I'm such a sucker for pot pie! My mom makes it, but I've never tried...it intimidates me. :) I'd love for you to link this up at my Fall Recipe Challenge!